Communications merry-go-round at iconic electric car manufacturer continues as another senior PR executive departs. 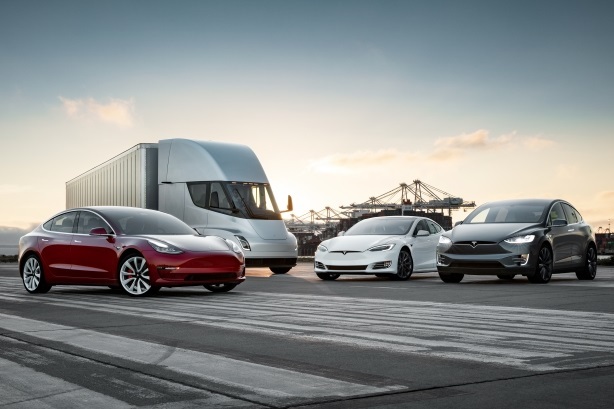 Electronic carmaker Tesla has new communications leadership again (Pic: Tesla). PALO ALTO: Dave Arnold has taken on lead global comms duties at Tesla as Sarah O’Brien, VP of communications, gets set to leave. Her exit from the company, expected to be September 7, was in the pipeline for months. Global communications director Arnold will take on her responsibilities and has assumed the role of senior director of global communications. A spokesperson for Tesla told PRWeek: "We’d like to thank Sarah for all her contributions to Tesla and we wish her the best. Sarah’s transition has been underway for a couple of months and Dave Arnold, Tesla’s senior director of global communications, will take on her responsibilities." Arnold was previously director of corporate comms at Virgin America and a VP at MWWPR. He was also communications director for former Rep. Anthony Weiner and press secretary for former New York City council member Eric Gioia. Prior to working at Tesla, O’Brien served at Apple, working on iPhone PR and music PR in EMEIA. She joined Tesla at a time of significant churn in September 2016. That same month, Khobi Brooklyn, the former head of global comms, stepped down from the company. She later joined Converse as global comms head. Brooklyn’s exit followed that of Ricardo Reyes, the now global comms chief at Dyson. Reyes served as comms head at Tesla twice – first from 2009 to 2012, and again in an 18-month stint from October 2014 to March 2016. Reyes' predecessor, Simon Sproule, lasted just six months at Tesla. After leaving the company in October 2014, Sproule joined Aston Martin as CMO. More recently, CEO Elon Musk has weathered a firestorm since tweeting out a now-defunct proposal to take Tesla private. The tweet announcing he’d secured funding for the deal received scrutiny from the Securities and Exchange Commission for a possible violation of security law. Tesla announced it scrapped the proposal on Friday after market close. A special committee for the board, which was formed to evaluate the proposal, hired Joele Frank for comms support.